Hibiscus has just completed the installation of our new machine. Boasting UV flexographic print units, die cut stations, RD scorer, coroner treater, web cleaner and scissor slitting unit, this new machine, with many more modular options available for future modifications, was installed to increase overall capacity and will allow us to extend additional flexibility to our customers. 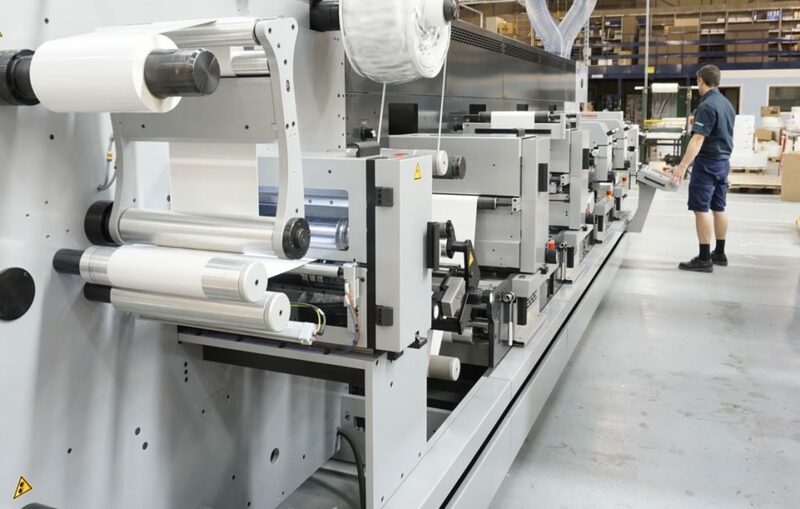 The new addition is part of our continued investment programme and being able to utilise a new press will be a massive advantage for us; we’ll be able to expand our production rates and reduce lead times, which means that we can produce many more labels without compromising on quality. This press joins our latest additional Little David Case Maker Packing Machine and existing Mark Andy and Edale presses. The new machine was purchased with the help of the Leeds City Region Enterprise Partnership (LEP) who offer investment grants to small and medium size businesses that are based in the Leeds City Region.